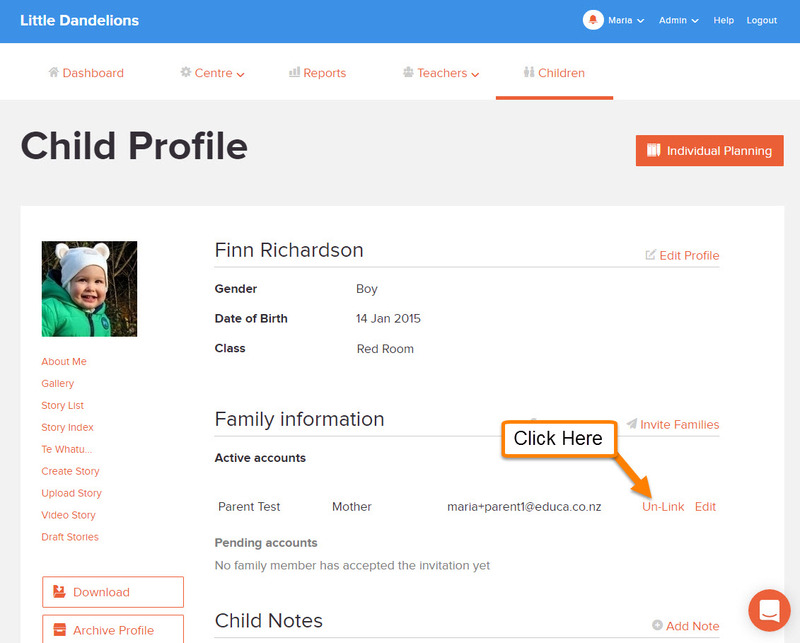 In the situation where the wrong person is linked to a child’s profile, that person’s access can be removed by Un-Linking them from the child’s profile page. Once unlinked, they will no longer have access to the information related to this child. Note: The parent will still have access to your Educa site even after doing this. If you would like to remove the parent's access from your Educa page entirely, you can do that in your Invitations page.